Applying Artificial Intelligence in Education – Intelligently! From information age, we have now moved towards the age of data gathering and data interpretation. From the plethora of information and data, we have to extract some tangible ‘meaning’ for interpreting a trend or forecasting a future; these have become the realm of artificial intelligence or AI. As a scientist, I have always used data to interpret a hypothesis or an assumption before the start of an experiment. We use programming for fitting the data and then its interpretation of the data, but AI is the fashionable phrase today (of course AI includes automated data analysis)! AI is here to stay and is rapidly impacting everything that we do! AI is defined as machines or devices that think and react like humans – machines should have cognitive abilities and have attributes such as problem-solving, perception and planning. The feasibility of incorporating these abilities and attributes in machines can be quite difficult, and requires immense about of programming efforts with analysis. The easy examples of AI are Siri and Alexa and their voice-enabled services, or self-driving cars, planes on auto-pilot, etc. IBM’s Deep Blue chess player and the Debater are fascinating examples of AI. Interestingly Tesla cars use AI to avoid accidents (one of my friends was saved by Tesla’s AI. When a car in front hit a divider and somersaulted……….her car’s sensors and AI used an algorithm to detect the possibility that the crash was about to occur, and her car was brought to a halt automatically!!) This is a fantastic new application of AI isn’t it? Also AI is used routinely in predicting stock market trends, and weather data, which is useful because of vast amounts of data to be assimilated and trends to be monitored can be done only by machines! Thus AI when used wisely can have a range of useful applications indeed! So how does AI compliment and supplement our teaching and learning endeavours? AI must be applied intelligently for a ‘smart’ impact on the learning outcomes. We know that the explosion of resources on the internet has given vast learning opportunities to millions of eager learners who previously did not have access to good books or even teachers – I am especially referring to paucity of good educational resources in India. The internet has opened up this previously narrow view of education and has opened up a smorgasbord of offerings to everyone who has access to the internet (although one has to be a bit discerning about sites the students are learning from, as some of these can be quite misleading and incorrect). Admin automation (ERP) along with LMSes and MOOCs are already being used widely (unfortunately not much in India, we are so much behind this ed-tech curve) in many educational institutions. Automated attendance, grading, scheduling, analytics, school management issues can be performed routinely with AI. Learning management systems (LMS), massive open online courses (MOOC) use data to provide ‘just-in-time’ like learning assistance to students (and teachers as well). These systems can be used to monitor the teaching-learning processes very effectively. The course LMS/exam engine will direct the student to learn and practice more in modules with low marks! The student can go back and forth many times till the skill levels are acquired, and then appear for exams, or may be proceed for an internship or hands-on projects/experiments, etc. But for machine AI to achieve this – the person writing the code has to be absolutely thorough in gauging what is required from the learners, that is know the learning trajectory correctly to bring about the desired results from students, keep them engrossed and motivated in the learning process; this is not an easy task! Vast amounts of information have to be provided to the machine to offer learning paths to students. If properly harnessed, the AI’s potential can be immensely beneficial to the learners as well as the teachers (not to forget the stakeholders and leaders of an educational institution). I was a community TA for a HarvardX course on the edX platform, where adaptive learning was used in the version 2 of the course (please see: https://vpal.harvard.edu/files/vpl/files/paper_167.pdf). It was clear that adaptive learning enabled the learners to score higher in their tests. The HarvardX group along with TutorGen used an adaptive engine with a strategy in the form of an algorithm based on Bayesian Knowledge Tracing (probability calculations). Also for long answer, essay-type questions, which are time consuming for teachers/assessors, AI programs and machine learning can be used to assess and then provide feedback to students along with grades. AI in education does not mean robots stomping around and replacing teachers!! AI is here to stay, and AI in education is a must for the various teaching-learning paths and processes. AI is like having a TA for every student! So what do we need for AI in education – a good back end question and answer bank, with LMS or MOOC, a machine interpreting the students’ answers and giving feedback, etc. All these must be tried and tested before an AI tool is harnessed properly in education. The leadership in education needs to chart a course for assimilating AI in their institutions so that it can positively impact ‘smart’ learning outcomes of a module, of a course, and of a complete program as well. Just like IBM’s Watson is using AI in healthcare, offering diagnostic assistance to doctors, similarly AI in education provide a diagnostic tool for all stakeholders as to what is actually happening in the classrooms – is the teacher teaching, is the learner learning? And when this gap is bridged, we would indeed have engineered a revolution in education! In the book on “On The Future Prospects for Humanity’ author and astronomer royal, Prof. Martin Rees discusses a lot about application for AI. Recommend reading this book. My Bookshelf – a cherished wish fulfilled! This may sound simple, or even silly………………but here’s my story of how I finally was able to buy a bookshelf for myself!! From the time I was little, I loved to see rows and rows of books on bookshelves scattered all over our home in Kolkata (Calcutta). It made me happy just browsing (in those days, a browse meant reading through pages of a book and not browsing the internet!!) through many of them. Murder, mystery, romance, etc. from Perry Mason, Agatha Christie, Tolstoy, Marie Corelli, etc. from my Mom’s collection; to brainy stuff like science, engineering books, encyclopedia, etc. from my Dad’s collection. It was a true treasure trove. The thought of having a bookshelf of my own in my own home was one of the many wishes that I cherished in my mind…..……………always. A row of books neatly arranged on a bookshelf, to me was a clear sign of being scholarly and erudite! Not that these adjectives are valid for me, but yet I wished to have a bookshelf of my own (sound so much like Virginia Woolf’s a Room of My Own, isn’t it?)!! Well, for one reason or the other I never settled down in a ‘home’ of my own; and when I did, I gave priorities to other members of my family for their wellbeing, and the thought of having a bookshelf of my own was……………sort of …..’shelved’!! Some years later, I got a nice job in Mumbai and rented out a lovely flat in Versova, a north-western suburb of Mumbai. Soon I had some time and space to think about my needs and wants……….the thought of having a bookshelf came back to me! When I could afford I bought a small bookshelf but I piled so many books on it, that within two years, one of the shelves cantilevered and caved in! After that episode, I switched jobs and got so busy with my life that again, having a bookshelf of my own got shelved! Eons later, again I realized that I still did not have a bookshelf for myself. All my collections of books were either lying in the loft or shut in many cardboard boxes. After some time, I liked a bookshelf online, unfortunately, it got sold out even before I could place an order. I was eyeing it for almost six months, when one day just by chance the picture of the bookshelf that I had identified, appeared on my browser (god, these cookies!!) and indicated that it was now available at a discounted price!! Without batting an eyelid, I ordered it!! The bookshelf flat-pack arrived in less than a week and got assembled very professionally by a pair of carpenters/engineers sent from the online store. Importance of Teaching Science Correctly! I am writing this post on my blog after a long time…………………the thing is this: I write when I feel passionate about a certain topic or news; mostly they are about (a) teaching and learning (of especially science) and (b) women’s’ issues (especially at workplaces). So here’s is my latest on teaching of science CORRECTLY, because of a news item on the recent total solar eclipse in the US on 21st Aug 2017. Here’s how WRONG this is!! The Sun remains after an eclipse, but the moon moves away! The moon eclipses the Sun from right -to-left: that is from west-to-east and not the other way round!! And lastly, the moon is the one that is dark, and the Sun is the one that is shining brightly! This indeed such an incorrect and inane stuff………………I hope my readers will understand, and share! Thnx. Today, as I read and hear about the probe New Horizons and its fly-by around Pluto, my mind is flooded with memories of my first school named New Horizon, near Beltala, Kolkata. I must have spent some 2 years there, at the age of 4-5 years (it was such a small school that they probably do not have a website either, so I have no picture of my first school, unfortunately!). I write this blog to say how New Horizon taught me a few things important for life! The school was close to my place. I would generally walk to my school with my maid. On the way, there was a foot path with milk chocolate coloured squares, and since I loved Cadbury’s (that was a generic name for all chocolates in those days, as it was the only chocolate available in India) I would love to walk on that. My sisters and parents even nick named that footpath as Cadbury footpath! I still remember that I would like to go to school early, and choose my table and chair – red in colour. There was only one set of each colour, so red was something we kids ran to get hold of. One day there was this guy whole ‘stole’ my red table and chair, and I was so annoyed that I picked a fight with him. The class teacher was very nice, she explained to me to take another set of table and chair, as it was not that important, it did not matter in the class. That was a life’s lesson learnt – learning matters and not something superfluous. We even had a rest period, where we kids would go to a reasonably big hall and lie down on ‘chatai’ or a thin straw carpet. There was this obnoxious girl who would lie next to me and do some horrible gestures (she was 4, and so was I, imagine!! ), till the teacher noticed and asked her to stay from me! Another of life’s lesson learnt – choose your friends carefully. Later in life, I chose to do Physics, and I love my subject. I eat, and breathe science (mostly Physics) all the time; I am absolutely passionate about disseminating it through my writings and workshops. Sometimes I feel that it is unfortunate that I do not hold a permanent job (many unforeseen reasons for that) , but so be it……….it does not in any way diminish my passion and enthusiasm for science at all. And as I watch the images of Nasa’s New Horizons fly by of Pluto, I feel how hard the team must have worked for years and years; I can feel their excitement and pride. It is indeed a definite milestone for human explorations and endeavours, and an absolute technological and scientific feat. Another of life’s very important lesson on display now – for anything big to succeed – hard work, dedication, vision, leadership, years of planning are definitely needed. And collaborations between large teams – the order of the day! 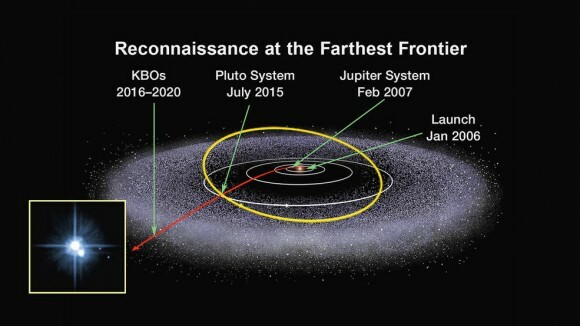 I hope the New Horizons team get more funding and continue to explore Kuiper Belt objects long after the Pluto mission is over. Good luck to them; now I wait to watch the TV program Eating Breakfast with Pluto presented by my favourite science presenter Neil deGrasse Tyson! Aside: Two things are very close to my heart – science/technology progress and women’s issues. I just heard today on CNN that in the New Horizons project 25% of the team are women. Hurray! Great going girls! I am putting up another article on my blog after almost six months……….was caught up in many other works. But in the meantime, I did many courses on edX, studied about MOOCs (massive open online courses) and was able to use the Google Course Builder to create my own MOOC (in the cloud)!! That was an achievement, I was thrilled to do it………… and thought I’d share it with everyone. The thought of creating my own on-line course occurred to me when my fellow course mate for the GEMs Art of Teaching course suggested so. I have never met Karina (a teacher in Mexico) but one of her very encouraging comments in the course forums got me thinking………………hmmmmmm surely I can try this!! First, I wrote to edX, I did not know where to write so I said I am a business developer, and would like to create courses on edX. Someone from there politely wrote me back that (a) either I have to be their partner (I am not sure what criteria they have to choose them) or (b) I should visit mooc.org and wait to hear more developments from that website’s forum and updates. I have never heard from them, as yet. But while there I read through many links how Google and edX were going to merge, etc. From there I reached the Google Course Builder website (https://code.google.com/p/course-builder/). And although I am not a developer, I read through many tech documents, watched YouTube videos many times to understand what was happening, as there are many versions of Google Course Builder, some say this and some say that………………..attended some Google live events, and was able to build my course……….as an app. 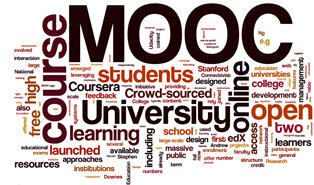 It is also a MOOC. Used the Google App Launcher to put up my course! Currently it seems to be free; you can upload your course on Google App Launcher using Google Course Builder 1.8.0. But a word of caution……………nothing with Google can be free! If the traffic to your MOOC is high (not sure of the number) or the course is too large (or even popular and successful) I am sure Google will try and monetize your efforts………….someday may be! Anyone interested? Perhaps I can help you out! Aside: On a live event I put up a question to Google if Google Course Builder and edX are merging together, to that the answer was NO. Which is good for me, as any merger may mean headaches for course owners and their students, isn’t it? Also at a later date, I found a new course of edX – edX101 – Overview of Creating an edX course. I am not sure whom this course is for, may be after edX agrees to be your partner then the course may help you to go step-by-step to create content and upload to their platform. For a person like me, who has created on-line courses for years on LMSes, I have my own templates and methods for session plans……… and now with the help of Google Course Builder, I’d say I am in business of creating MOOCs. We can all learn, but we don’t all learn in the same way. Where learning is concerned, there is no one approach that fits all people. Learning models help us to make sense of the teaching-learning processes. Learning models provide teachers with an organized system for creating an appropriate learning environment, and planning instructional activities. Passive learning occurs when students use their senses to take in information from a lecture, reading assignment, or audiovisual. This is the mode of learning most commonly present in classrooms. It is used to acquire ideas and information that is available for recall. Can present a great deal of information in a short period of time. Lecture notes, handouts, and audiovisual media can be selected and prepared in advance. Controlled environment (faculty more comfortable). Good for new faculty member or one who is teaching new content. Students most often prefer this approach (they are used to this method of teaching). Important concepts and content identified a concrete, organized, and meaningful manner. Students have lower anxiety levels and feel more secure with this method. Little opportunity to assess how well students are learning the content. Little time for questions, clarification, or discussion. Students may not feel comfortable letting faculty know that they do not understand key concepts, they are reluctant to ask questions in class, or they may not ask enough questions to clarify their misunderstandings. Does not require consistent use of higher-level cognitive skills (no opportunity for application). May become tedious and boring. Active learning involves the student through participation and investment of energy in all three phases of the learning process (input, operations, and feedback). This type of learning is more apt to stimulate higher cognitive processes and critical thinking. May increase critical thinking skills in students. Enables students to show initiative. Involves students by stimulating them to talk more. Incorporates more student input and ideas. Easier to assess student learning. Better meets the needs of students with varying learning styles. Faculty need to be expert in the content area. May be difficult to organize active learning experiences. Requires more time and energy and may be stressful for faculty. Faculty may receive less favourable evaluations from students. Students may be stressed because of the necessity to adapt to new ways of learning. The convergence of traditional, classroom based teaching and modern, technology based learning, may be termed as blended learning model; this can been further modified and adopted to meet the varied needs of its diverse audience, to make it more learner centric and adaptive. It is a a good mixture of active and passive learning. The blended learning model has many components, and is utilised to emphasise the philosophy of ‘any time, any place, and any path, any pace’ for the benefit of its students. Blended learning model can be used for a flipped classroom also. The flipped classroom is a pedagogical model in which the typical lecture and homework elements of a course are reversed. Short video lectures are viewed by students at home before the class session, while in-class time is devoted to exercises, projects, or discussions. The value of a flipped class is in the repurposing of class time into a workshop-style interaction where students can inquire about lecture content, test their skills in applying knowledge, and do hands-on activities. During class sessions, instructors function as coaches or facilitators, encouraging students in individual inquiry and collaborative effort. Since blended learning model is a mix of active and passive learning, it has all the advantages and disadvantages as mentioned above. But in the ed-tech environment of the 21st century, it looks that blended learning is the way forward. Should We Measure ROI or ROE in Education? But any change in a system is expensive; introducing educational technology in traditional learning methodologies is definitely cost and effort intensive. But this has to be done now, because learners these days are different, their preferences have changed, and they have the option to shop around for what suits them in the plethora of course options. Many have argued that the structure of an educational institution, be it school, college or university, must undergo a paradigm shift from the instruction delivery to learning opportunities. In the new scheme, each faculty becomes designer of learning content and maintaining a learner-centered environment. Curriculum design is based on an analysis of what a student needs to know to function in a complex world which can be re-designed and offered on needs basis. Now comes the cost. Up until now education in India was considered to be a social sector, financed by the government or charitable trusts. These days education has become quite expensive, especially higher education. Stakeholders have to finance salaries, infrastructure costs, costs for course curriculums and course upgrades, and costs of certification and official recognition amongst other expenditures. Learners have to dish out fees to access these in a physical form. 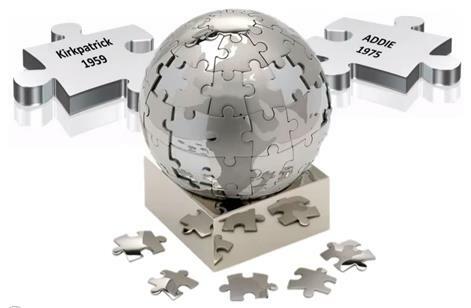 Since any learning (that is what goes inside a learner’s head, and causes change in his/her attitude and behaviour) is very individualistic, most education is ‘one size fits all’ philosophy, and learners have to find their own way to develop their skills and competencies. Since it is difficult to measure the usefulness of acquiring some education, we judge the ‘goodness’ of the monies spent by getting high marks, passing some exams, and getting into renowned colleges or obtaining a great job. The gratification on the monies spent happens many many years later……………it is unlike buying a soap or a pizza! Therefore, the ROI is hard to measure in short term. Getting any formal education is a long, lonely and almost a personal journey………….and if the journey does not end with a meaningful and fulfilling job and life, it is a meaningless journey! These days as a result of the recent economic downturn, and growing student loans, the importance of ROI for various academic degrees, are being discussed. ROI is often touted to be crucial for students to know so they can determine what degrees will allow them to obtain higher-paying jobs to maximize their ROI as soon as possible after completing a degree or certificate. By contrast, ROI is often discredited by critics as a short-sighted measure of degree worth (or value) that ignores the importance of a broader educational experience, and that critical-thinking skills and a broad college experience are more important than simply being able to find a high-paying job after college. In a recent CNN documentary on ‘Ivory Towers’ it is shown that meaning of obtaining education has undergone a much needed correction. I suggest that instead of measuring ROI, we should propose to measure ROE – a return on expectations, since expectations from a course curriculum can be promised, and measured using various assessment techniques (please see my earlier article on Analytical Framework, and Quality Assurance). ROI for investors and learners will be different, but ROE can be the same for all concerned, and that would be a good metric to start with, is it not?